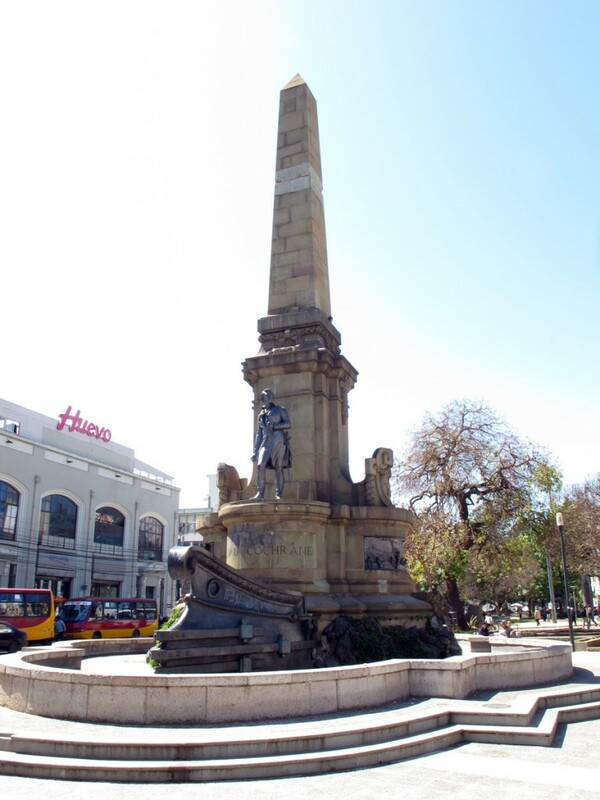 In Valparaiso, Chile, I discovered that Lord Cochrane is regarded as one of the great Chilean naval heroes and is suitably commemorated in Chile’s main port city, with a street named for him, a large monument, a stained glass window in the Naval Museum, and inside the Museum a large room honouring his career and exploits. Cochrane (see his wikipedia page) was a mad Scotsman (yes, yet another) who was one of the main inspirations for Jack Aubrey. For example, Jack’s boarding of the Cacafuego closely follows Cochrane’s description of capturing the Spanish Xebec El Gamo. And like Jack, Cochrane was first dismissed and then reinstated in the Royal Navy after conviction in a stock swindle. I’d forgotten that Cochrane was also the founder of the Chilean navy. 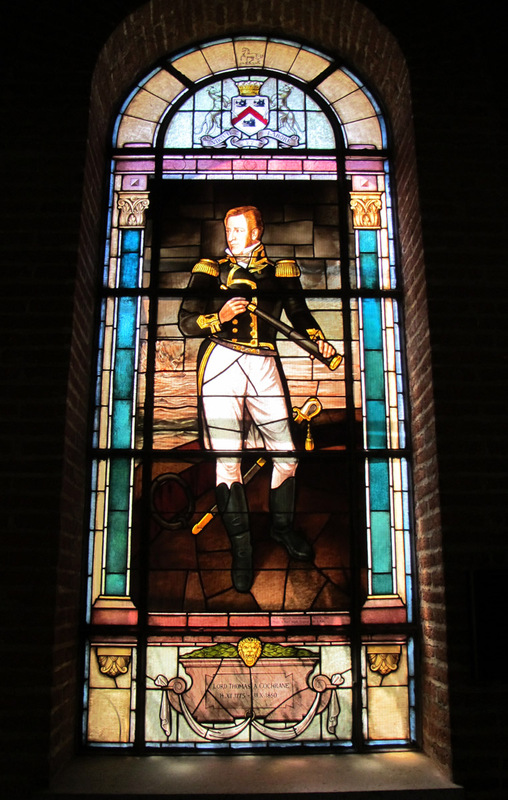 So it was an unexpected pleasure to find him so prominently remembered in Valparaiso!